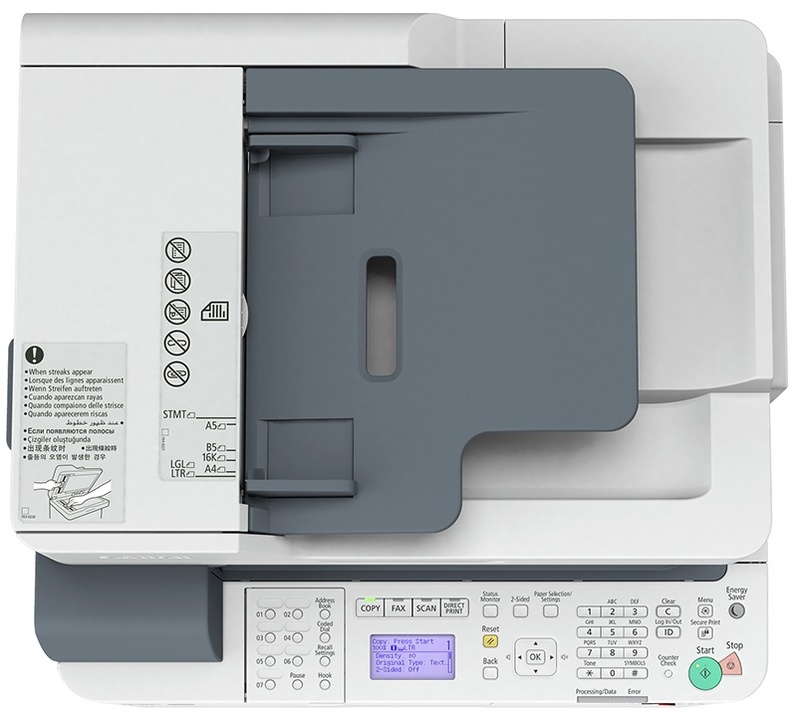 The compact MFC 1435-iF can either sit on your desktop or stand alone. 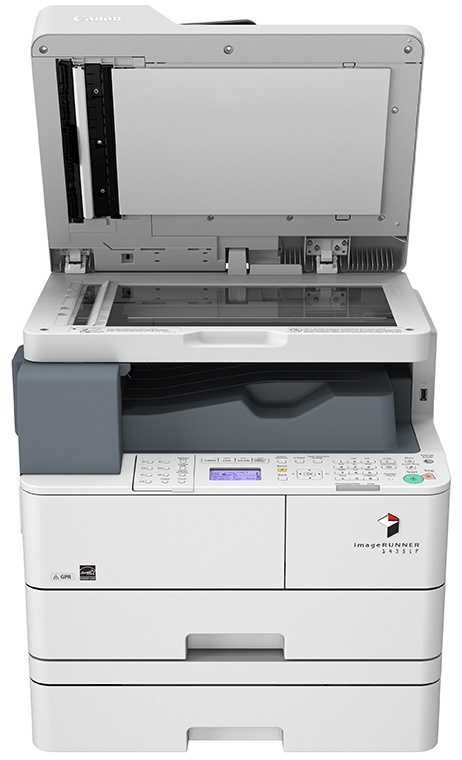 It will copy, print, scan and fax with black and white output. The Canon1435iF has a standard paper capacity of 600 sheets which can be increased to hold 1100 sheets. 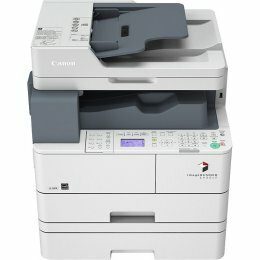 Scan to and print from a USB using the IR 1435 IF. 18-3/4" x 21-1/2" x 18"
Paper Sizes: 5-1/2" x 5" to 8-1/2" x 14"
Maximum Original Size Up to 8-1/2" x 14"
Dimensions 6-1/8" x 20-1/2" x 17-3/4"
Dimensions 21-7/8" x 20-1/2" x 17-1/4"
What is a duplexer? 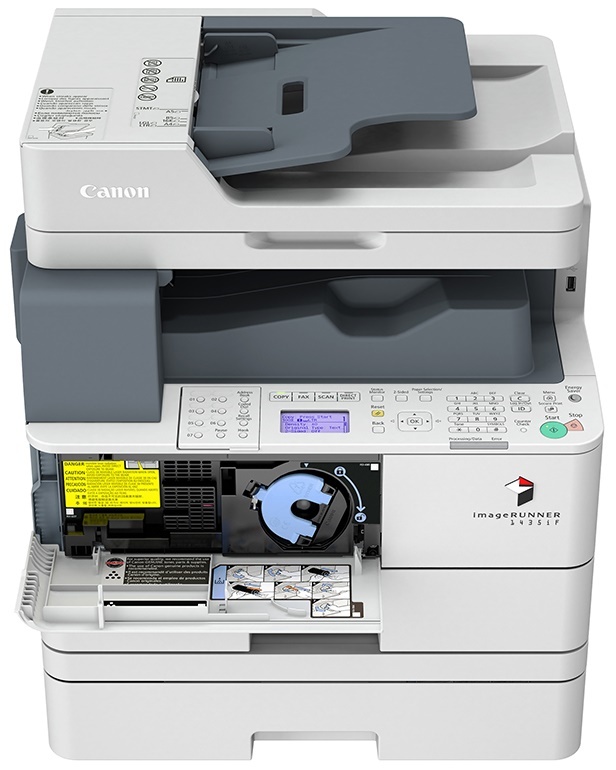 A feature allowing your copier to print on both sides of the paper. 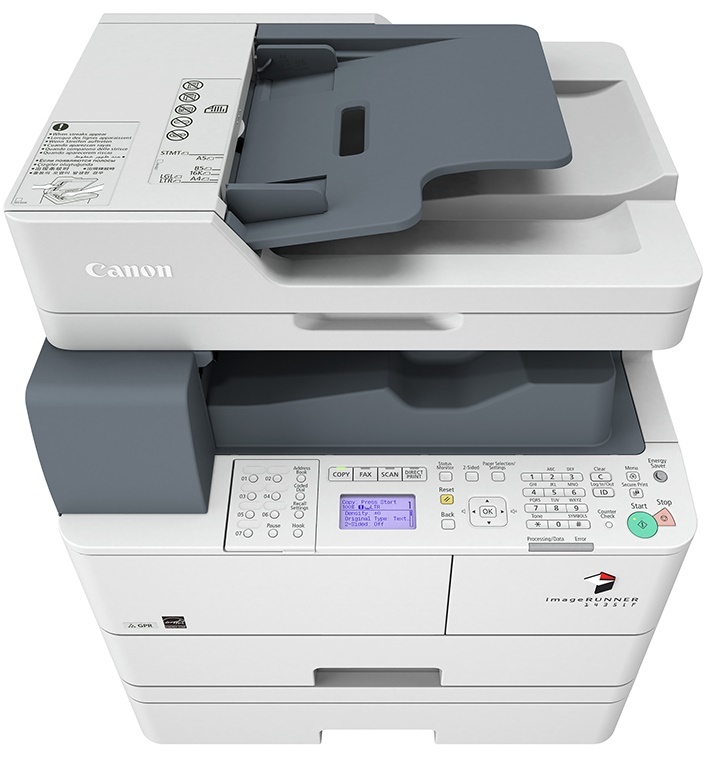 Use the zoom feature to enlarge or reduce copies for when you need part of a document or want to change the size of the document. Paper left in the feed tray of the copier for a long time can dry and curl causing jams.